Another preview from Zoe's upcoming book! Are you following Zoe on Instagram?? Hey there cowboy! Cowboys, Frenchmen and dinosaurs! New drawings by Zoe! The Cowboy and the Frenchman. Drawing by Zoe. The day the cowboys ruined the picnic. Drawing by Zoe. Hey there ladies! Fancy seeing you here! -Drawing by Zoe. Don't worry my dear, she's harmless. Drawing by Zoe. If you haven't been following either of Zoe or I on instagram (and you really should, btw), you may not have heard about our most recent project. 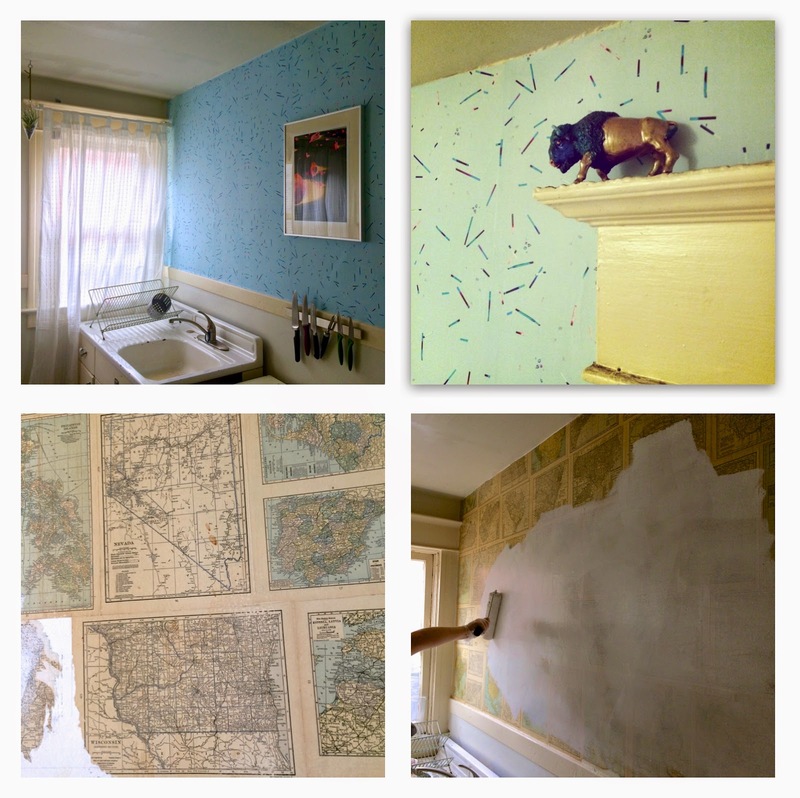 We hated the walls in our kitchen, which were plastered with faded, stained pages from an outdated atlas. So, we decided to make and install our own wallpaper! The design is a pattern of glitter and rock candy. To create the pattern, we scanned in actual pieces of candy & glitter, so the wallpaper has a really cool 3-D effect to it. 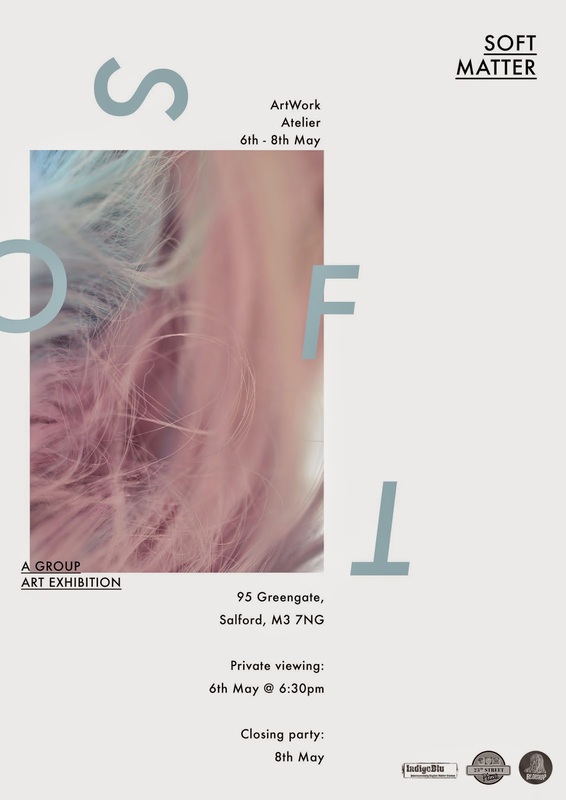 Some of Blake's work is going to be a part of the group exhibition, Soft Matter in Manchester, UK! Several of his illustrations were selected to be included in a hardback book, produced specifically for this event. The book contains the works of 15 artists and 13 writers (28 in all), responding to the theme for the exhibition. The show takes place between 6th - 8th of May; after the event, a reprinted magazine edition of the publication will be available. ...more info to come, as we get closer to the opening! All images are under copyright (unless otherwise stated). If you are interested in using any photos, images or works from this site, please contact us for permission first. The Grocery (Blake Peterson and Zoe Phillips). Simple theme. Powered by Blogger.